Waste Zero is innovating across collection efforts and community challenges. Waste Zero creates new collection mechanisms and helps individuals and companies lead less wasteful lives. Creating access to plastic waste collection through centralized drop off points. 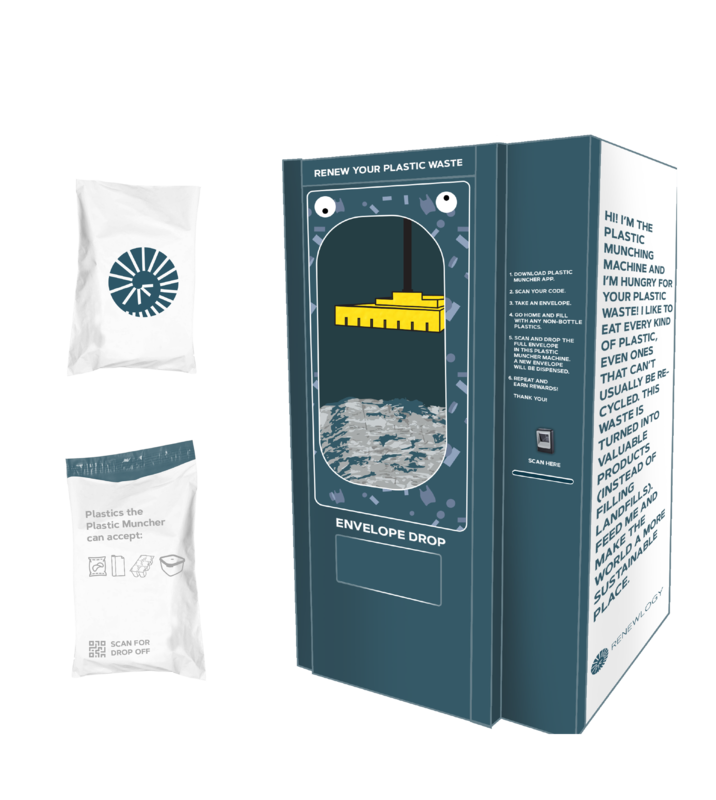 The Plastic Muncher is a reverse vending machine for plastics, which can be placed in grocery stores and office buildings. Grocery stores, brands and businesses can sponsor the machines, and have their branding featured on the machine, on the envelopes, and in the app. Please reach out and let us know if you are interested in bringing the Energy Bag, Plastic Muncher or Waste Zero Challenge to your community.